Perfect lives built on lies. 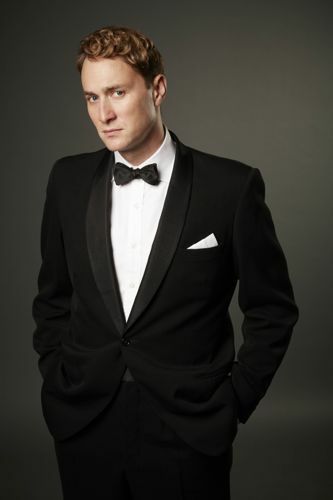 Breathless is a six-part ITV drama starting at 9pm this Thursday (October 10). 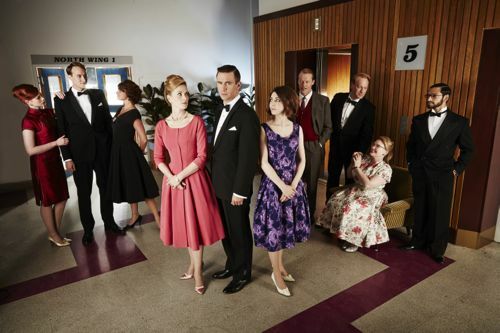 Set in 1961, it is stylish, compelling and one of the best new drama series you will see this year. The cast – led by Jack Davenport – doing full justice to top class writing, directing and photography. Not forgetting the production team behind some memorable costumes, sets, locations and all round attention to period detail and feel. Or the Anne Dudley soundtrack and a collection of inspired episode music choices. Drawing you into a pre-swinging sixties’ world where everything may not be as it first seems. I was asked to write the interviews for ITV’s press pack / production notes. So you might think I’m slightly biased. Which I hope I’m not. Not even by the sight on screen in episode one of the same Scalextric set I was once given for a 1960s’ Christmas. 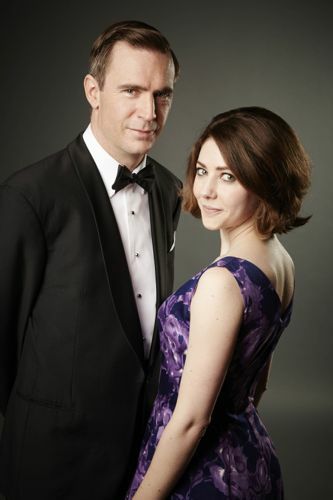 Jack Davenport as Otto and Catherine Steadman as Angela. I had high expectations for Breathless after reading all six scripts and talking to the cast at length. Having now seen the first three episodes, it does not disappoint. Also knowing what is to come in the second half of the series. Jack Davenport is the perfect choice for suave London surgeon Otto Powell on the eve of the sexual revolution, with a voice as smooth and reassuring as his purring Alvis car. But also a man who has a secret in his past. With superb performances from the rest of the ensemble cast, not least Catherine Steadman as enchanting nurse Angela Wilson. 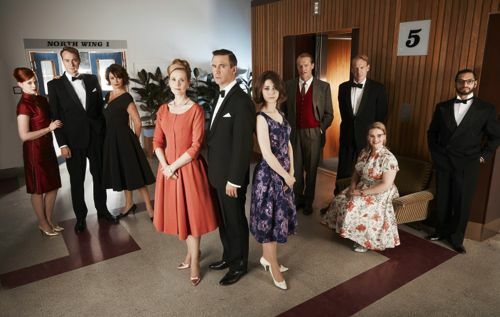 If you think this is simply a medical drama or Mad Men meets Call The Midwife, then you’d be wrong. Breathless will, hopefully, capture your imagination…and surprise. A number of my cast interviews were conducted alongside the photo shoot for many of the Breathless photos you can see on this page. Inside an eerily deserted south London tower block, once home to thousands of office workers. Where some of the Breathless sets were built. 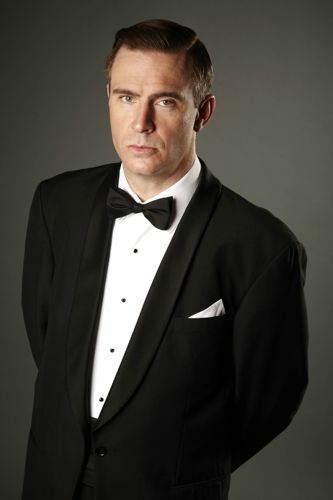 Jack Davenport as Otto Powell. 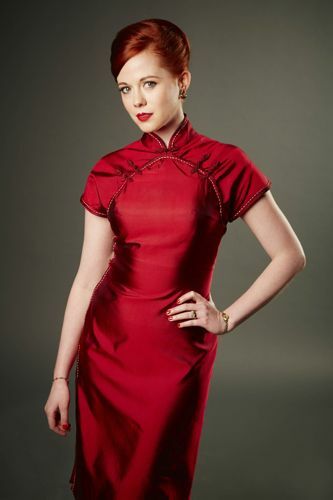 You can read my interviews with Jack Davenport (Otto Powell), Natasha Little (Elizabeth Powell), Shaun Dingwall (Charlie Enderbury), Joanna Page (Lily Enderbury), Zoe Boyle (Jean Meecher), Oliver Chris (Richard Truscott) and Catherine Steadman (Angela Wilson) by clicking on the link to the PDF document below. My conversations with Iain Glen (Chief Inspector Ronald Mulligan) and Sarah Parish (Margaret Dalton) are best read a little later, so I will add those when the time is right. Update: My Sarah Parish interview is here. And my Iain Glen interview is here. You can also watch a trailer for the series here. 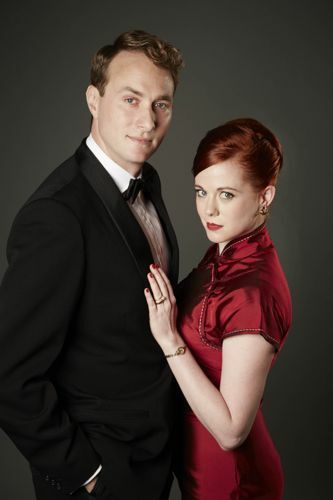 Oliver Chris and Zoe Boyle as Richard and Jean. 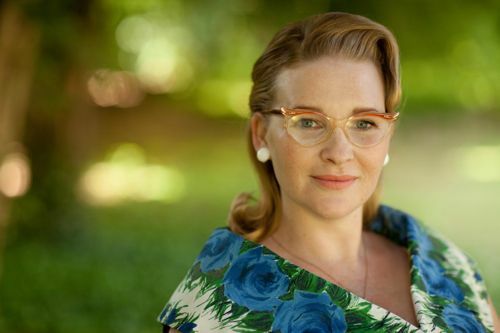 Natasha Little as Elizabeth Powell. 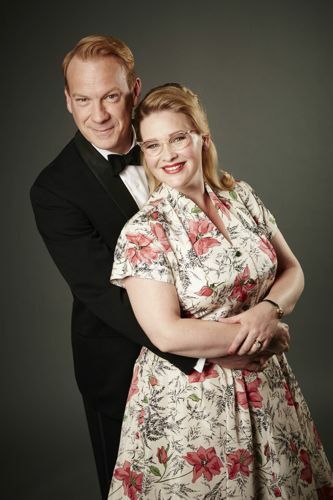 Shaun Dingwall and Joanna Page as Charlie and Lily. Zoe Boyle and Catherine Steadman as Jean and Angela. 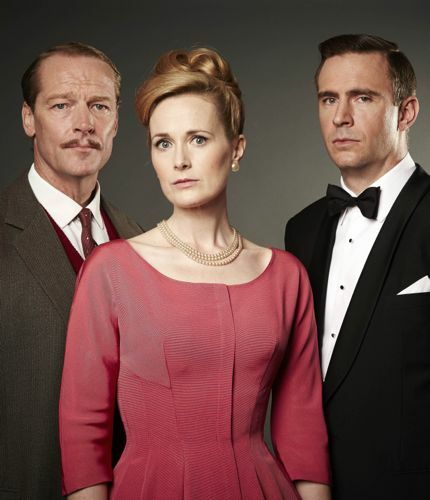 Iain Glen (Chief Inspector Ronald Mulligan), Natasha Little (Elizabeth), Jack Davenport (Otto). 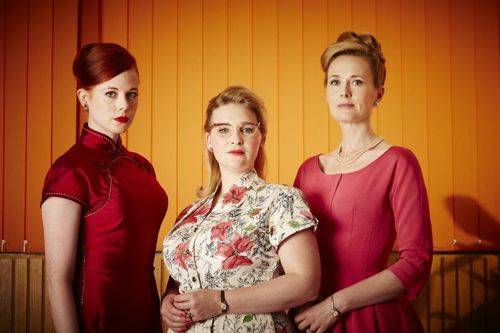 Zoe Boyle (Jean), Joanna Page (Lily), Natasha Little (Elizabeth). 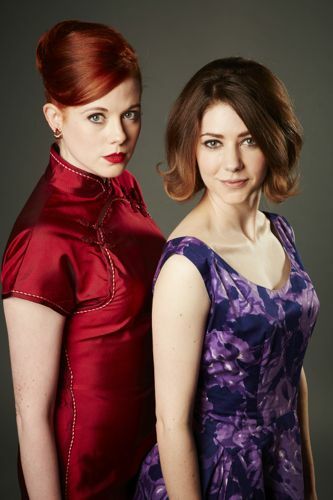 Catherine Steadman (Angela) and Zoe Boyle (Jean). Posted in News and tagged Angela Wilson, Breathless, Catherine Steadman, Charlie Enderbury, Iain Glen, ITV, ITV Drama, Jack Davenport, Jean Meecher, Jean Truscott, Jo Page, Joanna Page, Jolyon Symonds, Kate Bartlett, Lily Enderbury, Natasha Little, Oliver Chris, Otto Powell, Paul Unwin, Peter Grimsdale, Richard Truscott, Sarah Parish, Shaun Dingwall, Zoe Boyle. Bookmark the permalink. Will there be a season two? The first season is airing i Sweden now, and I’m looooving it! Sadly not, Johanna. A great shame.